The Bahco Handled Hand Cut File 1-100 with a soft grip ERGO™ handle are perfect for filing flat surfaces, sharp corners and shoulders as well as for deburring. 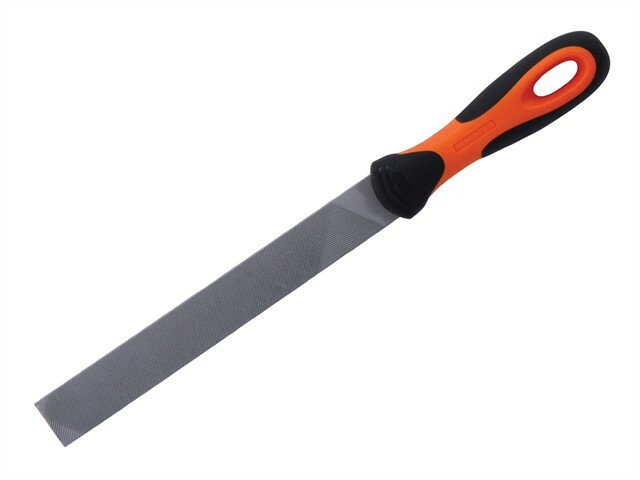 A double cut file may also be used for work on high-alloy tool steels. Also useful for the sharpening of heavy implements. High removal rate.